We are committed to protecting and projecting the reputation, integrity and standards of all our clients while delivering a seamless event within budget. We are committed to and known for upholding the highest ethical and moral standards in our company and within the events we produce. 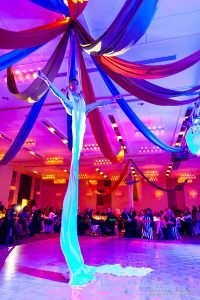 As a result, Eclectic Events International Inc. is an industry leader that is called upon repeatedly by our own industry to produce its most prestigious events. Our clients instill trust in us because of our level of attention and ongoing commitment to our clients is unrivaled. We work to develop and build relationships with our clients and sincerely care about their event outcomes, making their objectives and dreams a reality. We bring a high-level of creativity and service to the table. Our clients choose us because of our legitimacy and longevity in the industry. Every event or conference we design and produce is custom created for each client. Events vary in scale and size from small, informal occasions to incredible, multifaceted spectacles designed to take your breath away. Our clients instil trust in us because our level of attention and ongoing commitment to our clients is unrivaled.